Ive, who has been with Apple since 1992 and has been Apple's most important designer since the return of Steve Jobs to the company in 1997, was interviewed at Apple Park by Naomi Campbell, the famed fashion model-turned-interviewer. In the interview, published Monday in the British edition of Vogue, Ive went into his childhood, his influences as a designer and his chancellorship of the Royal College of Art. And, as he has done in past interviews, Ive also talked a lot about his work with Steve Jobs, and what that meant to him. "We looked at the world in the same way: we'd struggle to perceive things, we'd argue in our own heads, and we were very conscious about the conclusions we came to," Ive said in the interview. "As time goes on, I appreciate him more, and miss him more; how truly extraordinary he was becomes clearer. Steve understood the creative process in a way that's extremely rare, but he also understood how you make a company with lots of people." Ive added that throughout their partnership, Jobs was always supportive of him, and that the late Apple cofounder "wouldn't obey rules that were perceived to be accepted wisdom, and he had an extraordinary optimism and enthusiasm. Ultimately, Steve's legacy is a set of values and, I think, the belief in trying." Ive also talked in the interview about how he got his sense of design. He liked "drawing and making things," Ive told Campbell, from an early age, learning a lot about how design worked from his father, a silversmith. As a teenager, he made a box with a lid. "I was interested in how you go from what you see to what you perceive, what something might mean to you," Ive said, laying out a lesson that he's brought with him to his work today. While betraying no clues about what he's currently working on, Ive talked a bit about his process. When asked by Campbell if it's true that he has slept on factory floors during manufacturing, he confirmed that "I've stayed for months in places where we make products. I don't know how you can be an effective designer and not do that." When Campbell asked him whether it's hard for him to not talk about products currently in the pipeline, Ive had an interesting answer. "I don't really see it as being secretive," answered Ive. "If I'm working on something and it's not finished, I don't want to show somebody." Ive also said in the interview that he's particularly proud of his work with FaceTime, describing it as "one of the most lovely examples of communication." And he admitted that he manages his work/life balance "appallingly." Ive, who has held the title of Chief Design Officer at Apple since 2015, reportedly retook hands-on control of Apple's design team as of late last year, following the completion of the designs for Apple Park, the iPhone X and a refresh of Apple Stores. 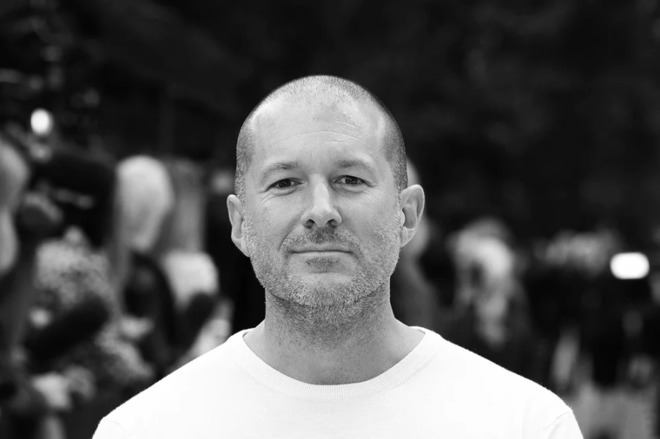 The 51-year-old Ive, who was born in London, has been responsible for the look and feel of almost every major Apple innovation of the past two decades, from the iMac to the iPhone to the Apple Store to the new Apple Park campus, where he personally selected the $1,200 office chairs. Ive, according to his Apple bio, holds over 5,000 patents, and has won numerous design awards.